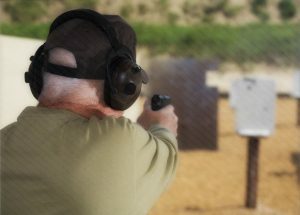 Oregon law permits, but does not require, Sheriffs to issue Concealed Handgun Licenses to out-of-state residents. Only residents of states sharing a border with Oregon can qualify for an Oregon CHL. 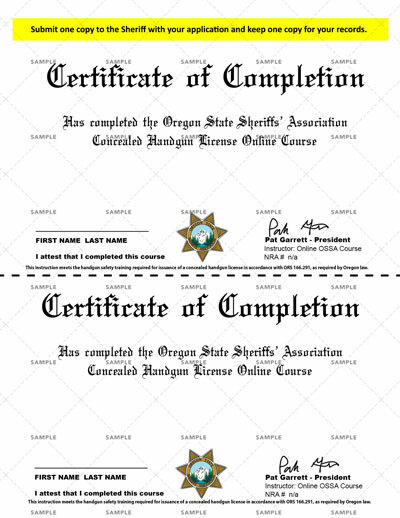 A certificate from completing this course does not guarantee you an Oregon CHL. Please contact a county Sheriff’s office to ensure they will accept your application BEFORE spending money on this, or any other, CHL course. The Oregon CHL system will use the e-mail address you provide to email your login information, password resets when requested, and a receipt when you purchase your certificate. Once you’ve begun the course, your progress will be saved. If you are interrupted, you may continue the course at another time or from another device.